In this article I’ll discuss the differences between heel up vs. heel down drumming and the benefits of each. In addition I’ll cover the heel-toe method for the bass drum and show some great exercises for both your feet and your limb independence. 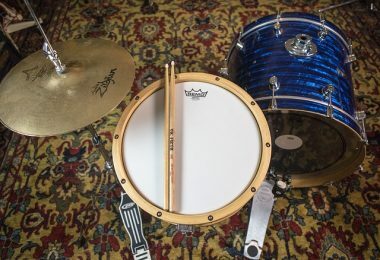 Whether you are playing double bass or just a single pedal, you’ll probably come across the discussion of heel up vs. heel down drumming technique when playing the bass drum. 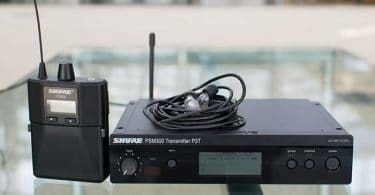 What’s the difference and how should you play? Heel up technique is generally used for loud and fast playing like in rock/metal, while heel down is better suited for soft dynamic playing like in jazz. There are no set rules when it comes to this sort of thing, so it’s best to become comfortable with both techniques and learn to seamlessly switch between them depending on the scenario. It can never hurt to have more tricks up your sleeve. 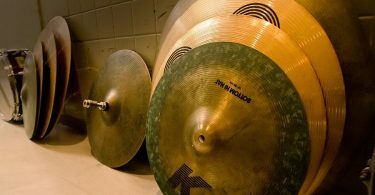 These methods are not exclusive to just the bass drum. You'll also have to decide how to play on the hi-hat pedal. Heel up can give you a tighter *chick* sound, while heel down can lead to a more open, washy sounding hi-hat. Heel down is exactly what it sounds like. You keep your entire foot planted flat on the bass pedal and just lift up the front part of your foot in order to play. With heel down bass drum technique it’s really easy to let the beater rebound off of the drum head. This leads to more resonance and tone which is great for softer styles of music like jazz. It’s also much easier to play soft controlled strokes compared to heel up because you are essentially just rotating your ankle instead of bringing the full weight of your leg on top of the pedal. As a result, your pedal will also slide around less. Think of it as hammering a nail with a small hammer vs. using a giant sledgehammer. Which do you think will be easier to control how soft you strike it? Heel down drumming usually doesn’t feel as natural to drummer as heel up. You have to learn to keep your heel planted and it will take some time to develop the right muscles in your ankles necessary for pulling it off. Once mastered though, you can get much more dynamic range out of the bass drum than any other method. You’ll probably feel a burning sensation in your shins and ankles at first, but it will go away the more you practice. Stick with it! Heel up drumming means you keep your heel slightly lifted off the bass drum pedal and you push down with the ball of your foot. For those of you that want to play fast double bass, heel up is generally going to be the best way to go based on endurance, muscles used, and power. 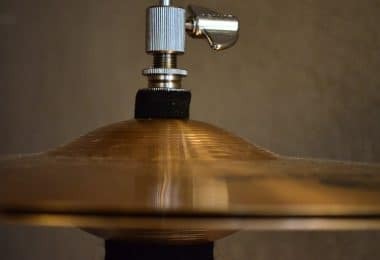 A lot of heel up drummers like to “bury the beater” in the head - so instead of lifting off right away and letting the beater rebound, they keep it pushed into the head until their next hit. This leads to a much more aggressive, loud, and more muffled sound. It’s definitely based on the player’s individual tastes, but if desired this method is much easier to pull off than playing heel down. The height of your drum throne is also something to consider when practicing heel up. 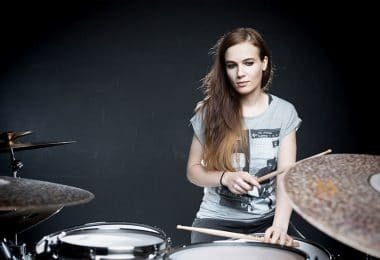 Some drummers find it easier to execute when their thighs are slightly angled downward which means you’ll want to put your drum throne up a little higher than normal. Another important thing here is to make sure you are playing with the ball of your foot and not your toe. You’ll get much more control and consistency this way. I feel like the best way to practice bass drum techniques is to treat your feet just like you would treat your hands. This means singles, doubles, and parradiddles are great for developing foot independence and speed. In addition, you should try one foot heel up and the other heel down while you do this. Playing the heel up foot louder will help you get better at accents and playing dynamically. 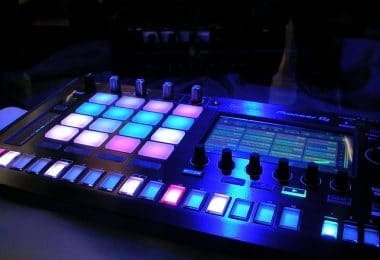 To really turn it up a notch once you get comfortable with these try playing a simple beat on the hi-hat and snare while you do this. It will be extremely hard in the beginning but take it SLOW. Only turn up the metronome once you can consistently do it for a minute or 2. This is the ultimate exercise in limb independence and it’s quite a workout for your brain. One of the masters of double bass playing, Thomas Lang, has a great article explaining his approach to bass drum playing here. The heel-toe method on the bass drum was first pioneered for use in the big band era. It is also commonly called “The Slide”, “Rocking Technique” or the “Front-Back Technique”. It consists of a rocking motion and was primarily used to keep solid time on the hi-hat while the hands were busy playing the ride cymbal or floor tom rhythms. Early footage of Buddy Rich shows him using this technique often. 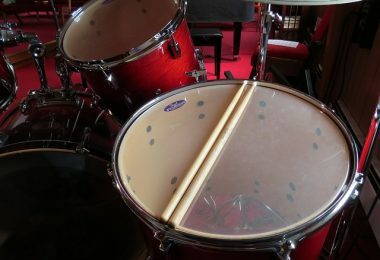 In recent times, players like Jojo Mayer and metal players like Chris Adler (Lamb of God) use this technique for multiple stroke rolls on the bass drum. The double-stroke speed world record was actually set by Tim Waterson using a hybrid version of this technique. In essence, heel-toe is used to get 2 strokes out of 1 movement, thereby playing a double stroke roll with your feet. It’s very similar to the Moeller method used for your hands. Suspend your foot above the footboard on the pedal and play the first note with just the ball of your foot. Next, snap your foot forwards, bring your heel up, and play the next strike with your toes. The knee and upper leg is used to complete this stroke. It can take years of dedicated practice to nail this technique down, but once you do you’ll be able to play fast and complicated rhythms with ease. If you really want to get the most out of the heel-toe technique with double bass I would check out the Tama Speed Cobra Double Pedal. These pedals have an extended footboard area which is perfectly suited for heel-toe technique. I’ve used them for years now and when I first got them I was honestly blown away with how much smoother and quicker they were than my old Tama Iron Cobra pedals. As I mentioned above, it can benefit you greatly by knowing multiple bass drum techniques. You’ll have something for every occasion, and muscle memory will kick in when you come upon a new tricky bass drum pattern to help you through it. Make sure to not only practice the bass drum alone, but with your other limbs. Drumming is all about coordination so if you keep that idea going right from the beginning it will make the learning process much easier.